Atlas V, flying in its 401 configuration, lifted off from Cape Canaveral Air Force Station on March 22, carrying the 7,942-Kilogram Cygnus OA-6 cargo vehicle for a resupply mission to the International Space Station. Signs of a performance shortfall emerged at the shutdown of the first stage’s RD-180 engine that occurred about five seconds prior to the expected time, leaving the vehicle short of its intended velocity. As a result, the Centaur upper stage extended its RL-10C engine burn by approximately 67 seconds, successfully delivering Cygnus to its target orbit. 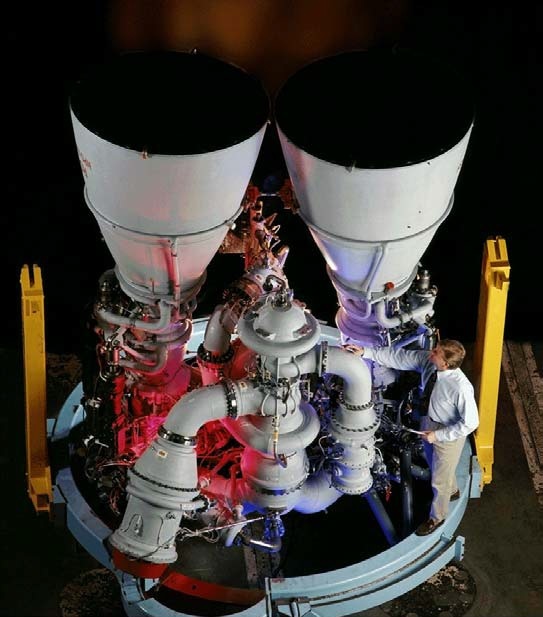 Within the RD-180 main engine, the MRCV is responsible for setting the mixture of Liquid Oxygen and Kerosene flowing into the powerplant. It is an Electro-Hydraulic Actuator-driven valve, located in the fuel system of the RD-180 engine, behind the first stage turbopump. Typically, RD-180 is operated at an oxidizer-to-fuel ratio of 2.53 to 2.91. The MRCV is used in tandem with the Thrust Control Regulator Valve for smooth throttling of the engine between 47 and 100%. RD-180 is capable of operating in a wide range of fuel/oxidizer mixture ratios owed to its robust design, making it possible for the engine to tolerate the operational environments associated with changes in O/F ratio. 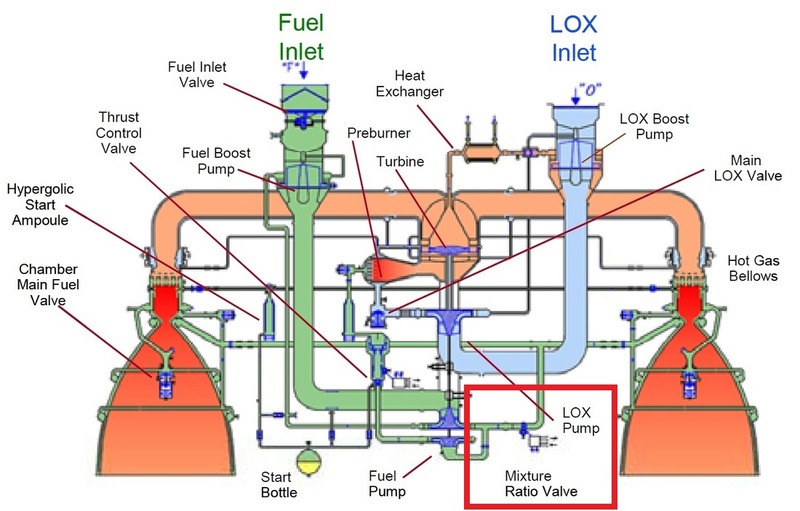 Due to the imbalance in propellant consumption, the Common Core Booster’s oxidizer supply was depleted short of the expected burn time with significant fuel remaining at RD-180 cutoff. 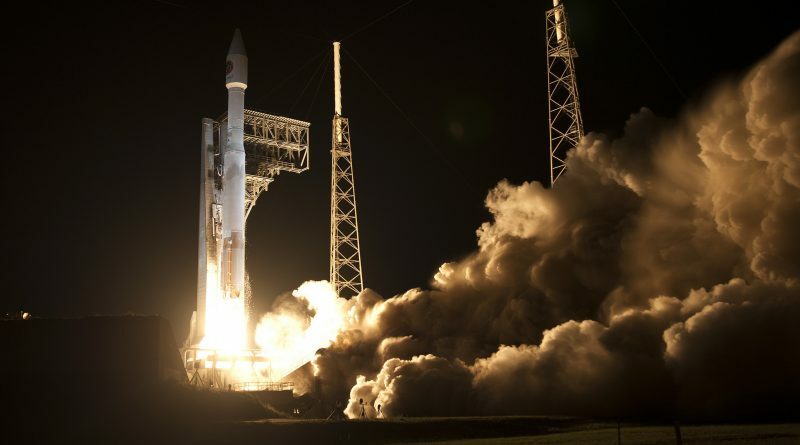 Remarkably, RD-180 was able to run for 28 seconds in an oxidizer-rich setting which results in a significant increase in combustion temperature and is common cause of engine burn through. A back-of-the-envelope calculation shows that the mixture ratio that occurred towards the end of the first stage burn was over 2.91 and slightly higher than what RD-180 is certified for, again showcasing the engine’s robustness in a variety of scenarios. The timing given by ULA matches a sudden change in the appearance of the RD-180’s exhaust plume seen in the onboard video of the launch. The change in plume appearance manifested rapidly, indicating the MRCV problem caused a sudden mixture ratio change that then remained constant. ULA noted that an extensive review of the off-nominal situation was conducted involving ULA engineers, the engine supplier and several government customers. Engineering reviews determined a conclusive root cause and recommended a minor hardware change on the MRCV to prevent the anomaly from occurring on future missions. The hardware modification was verified in engine hot fire testing and component level testing. Analysis performed by Spaceflight101 had shown that the mission came extremely close to failure. Centaur found itself in a situation where it had to make up a delta-v shortfall of 550 meters per second which includes the velocity deficit from the first stage anomaly as well as additional gravity losses encountered by the low-thrust upper stage. Centaur concluded its burn with about four second of fuel left. Had the the problem on the first stage started just a few seconds earlier, Centaur would not have been able to lift Cygnus into orbit resulting in a mission failure. The successful orbital delivery of Cygnus was the result of combination of the robustness of the RD-180 engine, operating outside its normal mixture ratio envelope, and the large propellant margin of this mission. A mission with closer fuel margin – such as lifting a heavy MUOS satellite to Geostationary Transfer Orbit – would have resulted in the spacecraft being delivered to a lower than planned orbit or not reaching orbit at all, explaining why ULA has taken the investigation into the off-nominal MRCV performance very seriously. Existing RD-180 engines will undergo a replacement of the part in question and detailed inspections will be conducted to support the current manifest. 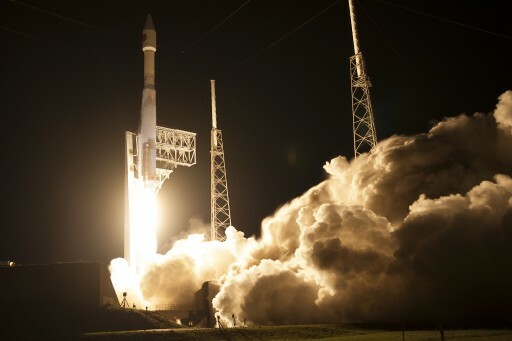 The final reviews as part of the investigation were completed by June 2, allowing Atlas V to be cleared for flight with no significant impact expected to ULA’s 2016 manifest. 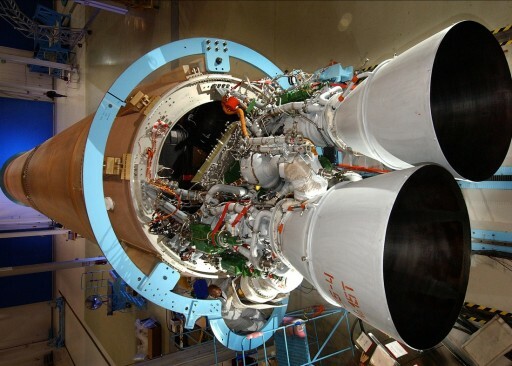 ULA also received some good news out of the U.S. Senate this week as a compromise was reached on the continued use of the much-discussed RD-180 engine that came into the crossfire after sanctions were placed upon Russia in 2015. According to the compromise, ULA can continue flying the Russian-built engine until the end of 2022, however, the number of U.S. Air Force contracts awarded for RD-180-powered missions is capped at 18. The compromise, approved on June 14, will provide ULA with the time needed to finish development of the Vulcan launch vehicle, an all-American successor to the Atlas V and it also provides the company with opportunities to engage in competition with SpaceX. Eight Atlas V missions are still on the books for 2016 including NASA’s OSIRIS-REx asteroid sample return mission that is set for liftoff on September 8 and only has a short launch period. 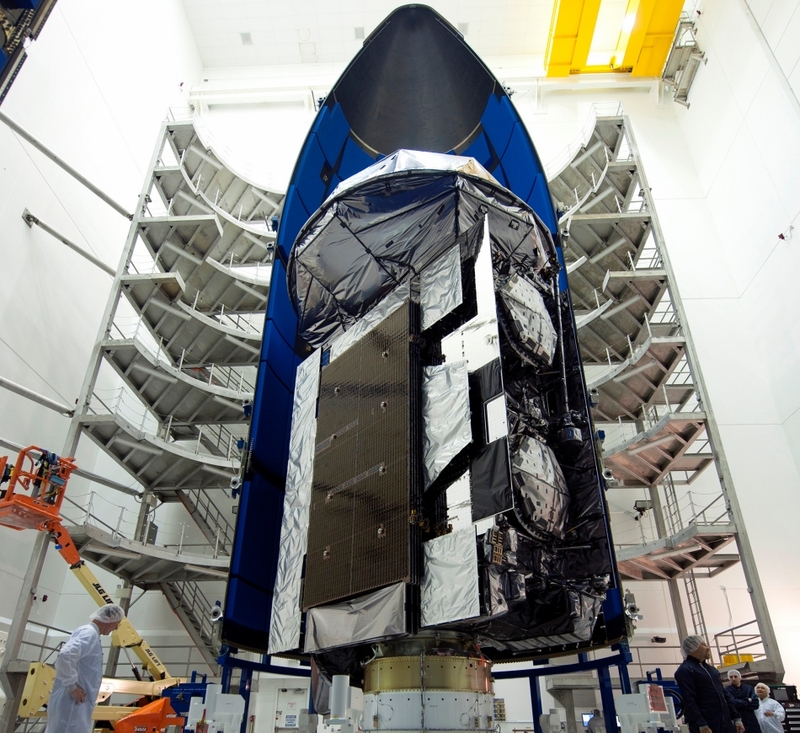 The other payloads set for launch on the Atlas V this year include two classified missions for the National Reconnaissance Office, the commercial WorldView-4 Earth imaging satellite, the GOES-R weather satellite, the SBIRS-GEO 3 missile detection spacecraft for the Air Force, and the Echostar 19 commercial communications satellite.